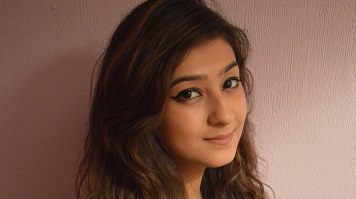 Fatima Laiq's placement helped her gain a first-hand account of small business growth in a competitive environment, which she believes has given her invaluable experience for the future. “As my placement stated accounting and business, I was told I would be working on both aspects to get a complete understanding of how businesses work. On the first day I was given a tour of the building and met teams in different departments. I was told how I would work with these departments and who would provide me with the data I was to deal with. As it was my first day, I was told to understand the business by going on to websites, which I went through and made notes to remember important bits related to my job role. Now that Fatima was more aware of the different functions of the company she started to work on her own without the constant supervision. She was able to correctly allocate invoices against their nominal codes, and she says her communication skills improved by establishing contacts with various clients. “After getting a full grip on book-keeping side, I was given training on control accounts, which is making adjustments and maintenance of journals. I worked on a basic client’s file alongside my manager, to observe and take notes so that I could perform these tasks later. My duties increased from book-keeping and petty cash to making journal adjustments for various clients from different industries such as retail, wholesale and construction. “As my placement also involved the business side of things, I attended a meeting with the director and the manager where they discussed the upcoming projects and how they would execute them. I gave my opinions, which was a new experience for me, as being a work placement trainee it is very rare that you sit in these sorts of meetings. The company is also involved in recruitment and so to get an understanding of this I worked closely with the recruitment manager, who trained me on different aspects of being in a HR team. I worked in the HR team during December, interviewing candidates and placing them at different companies. At the end of each year, the company performs an evaluation of each staff member. I was told that my performance was satisfactory and could be improved by more attention. After spending six months within the company, Fatima was by this time very much aware of KBM’s operations and how all departments and companies are linked together. She says that to fully understand her duties and operations, the in-depth knowledge of the business she gained in the previous months proved very important. In April, Fatima’s title was upgraded to Accounts Executive. KBM hired an internee from Italy for two months and she was made responsible for her training and tasks. Alongside her other day-to-day duties, Fatima also made her internship plan and integrated training aspects, as well as conducted weekly performance reviews. “We were given a project, and discussed how to carry out that project, which was an exciting experience for me as I was improving my leadership qualities by giving tasks and making sure they were completed within the given timeframe. I also learned about the Construction Industry Scheme [CIS], how to register for it, the rules and legislation, different types of CIS Sage CIS activation wizards, completing company preferences, nominal codes for CIS, setting up subcontractors’ records and other CIS workings for the client home base. “During my last month I learnt accounts production on Sage software, assisting the accountant in producing final accounts. This was a good learning point for me, as I learnt how the final accounts are produced and the process behind it. During this time my manager also reviewed my performance and gave a satisfactory report. I was then told to make a list of tasks I was responsible for and was asked to train my colleague so he could perform these tasks once I’d left.